Slide the EN-6351 sleeves (2) protective sleeve onto the crankshaft journal. 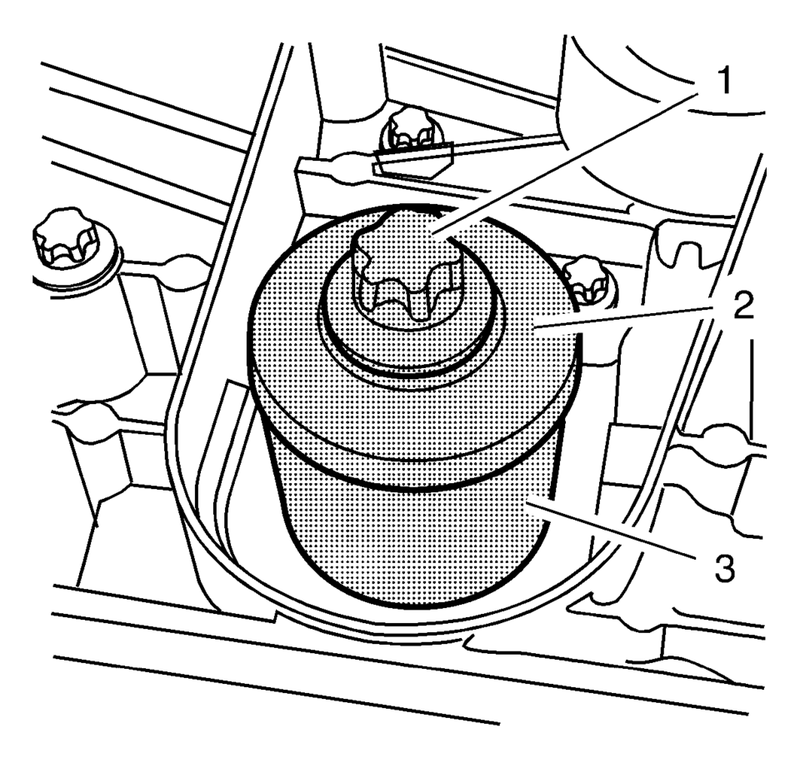 Slide the crankshaft front oil seal (1) over the protective sleeve on the crankshaft journal. Remove the protective sleeve, and using the EN-6351 sleeves (3), press the seal ring into the pump housing. 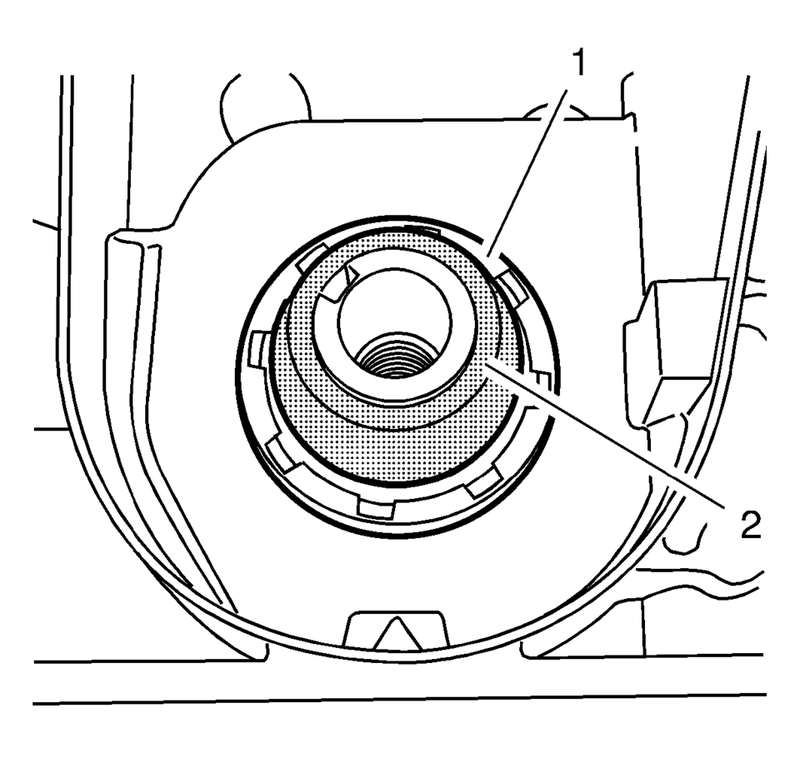 Use the crankshaft drive gear bolt (1) and washer (2) to press in the crankshaft front oil seal.